dominick comerford architects also designs houses for kids! 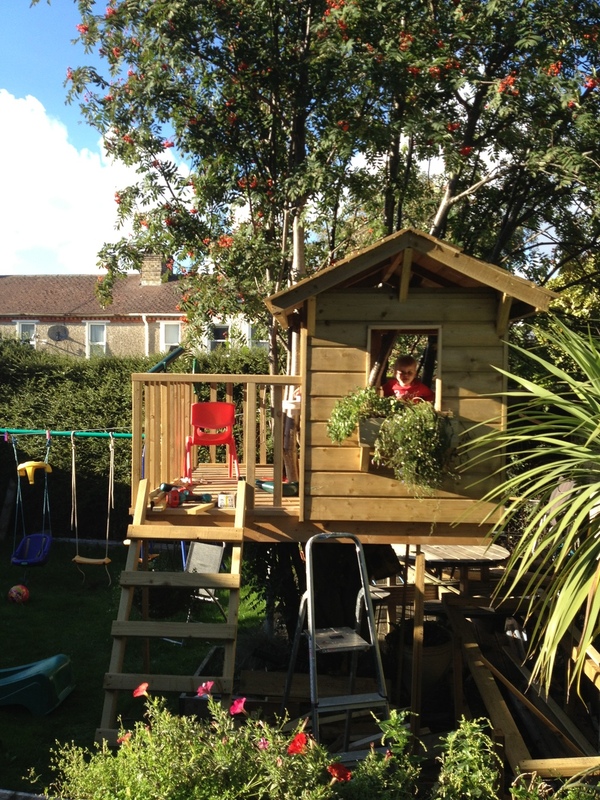 Timber tree house with a simple bespoke design with ladder, balcony, house with small seat and table, window-box for activity and a slide to get down. Kids love it!